Last night the wind woke me up about 4:30, with several gigantic gusts…strong enough to be a bit scary, actually. I was very glad I didn’t have to worry about the Big-Leaf Maple tree sending down huge branches again ontop of us, but we have lots of other trees around us. We’re in the middle of a high wind warning, with more big gusts to come. 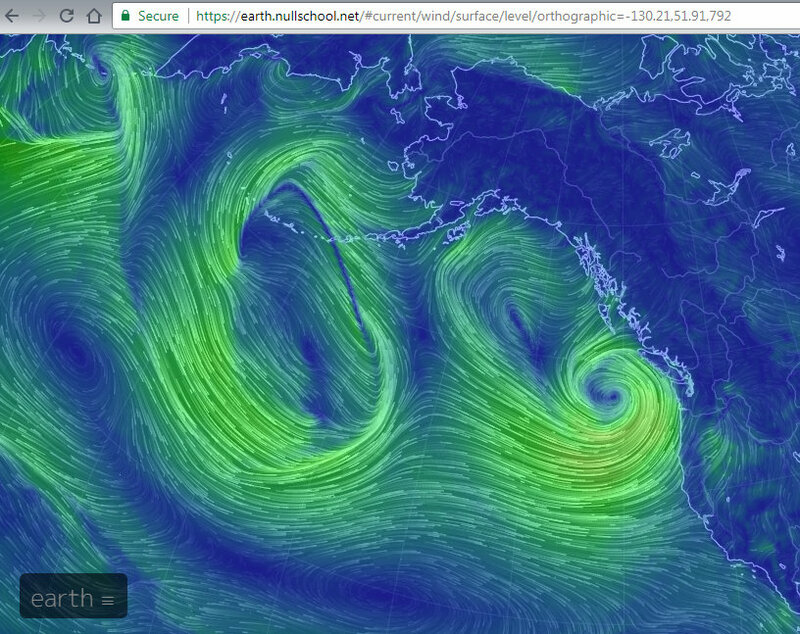 I checked the Earth winds website...the images really are gorgeous, but they confirm what’s about to hit us. You can see the smallish one that passed by early this morning, the one that woke me up. 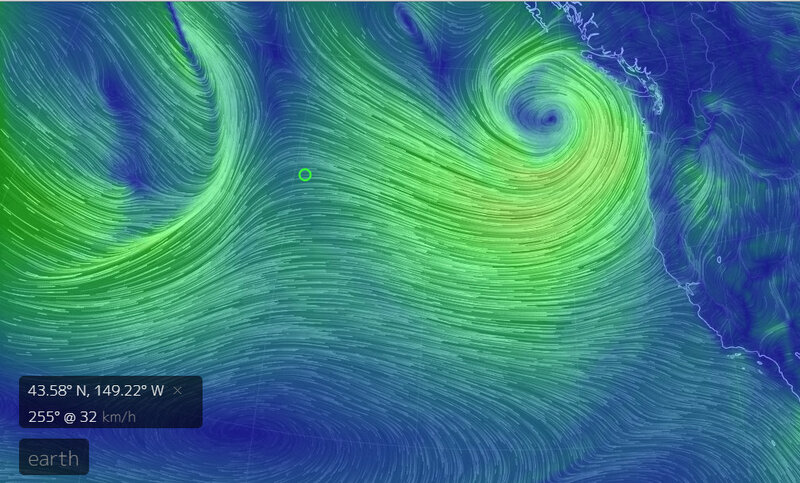 I love this website… it’s interesting to check it during all kinds of windstorms/hurricanes/cyclones all over the world. And here’s what’s coming at us. Makani nui. Big wind foa realz. This entry was posted in Da Kine: Sometimes Full-on Pidgin and tagged makani-nui, wind. Bookmark the permalink. Except for several blasts of scary wind at 4 a.m. Saturday morning, it wasn’t nearly as bad as expected. So grateful for that!! Mahalo for da hugs! !